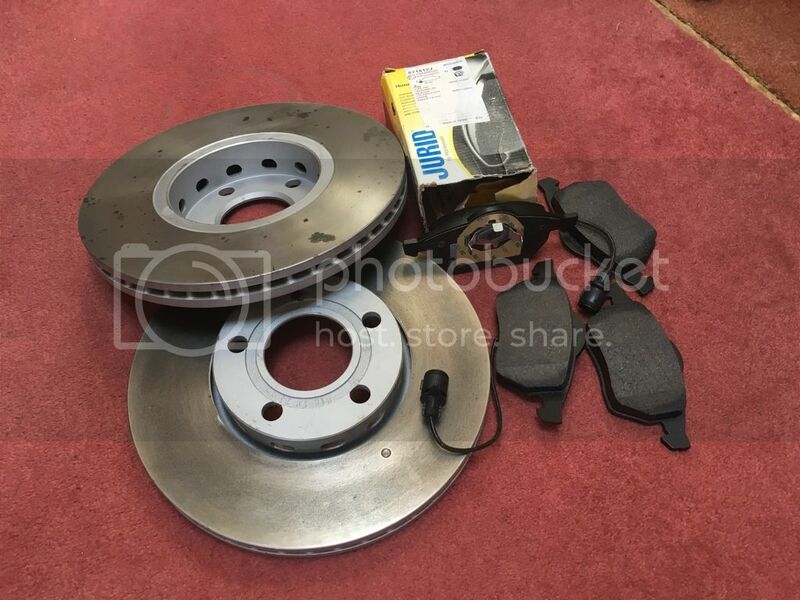 Classic Audi » Classifieds section » Parts For Sale » Brembo 288 x 25mm discs and pads New £50. Brembo 288 x 25mm discs and pads New £50. 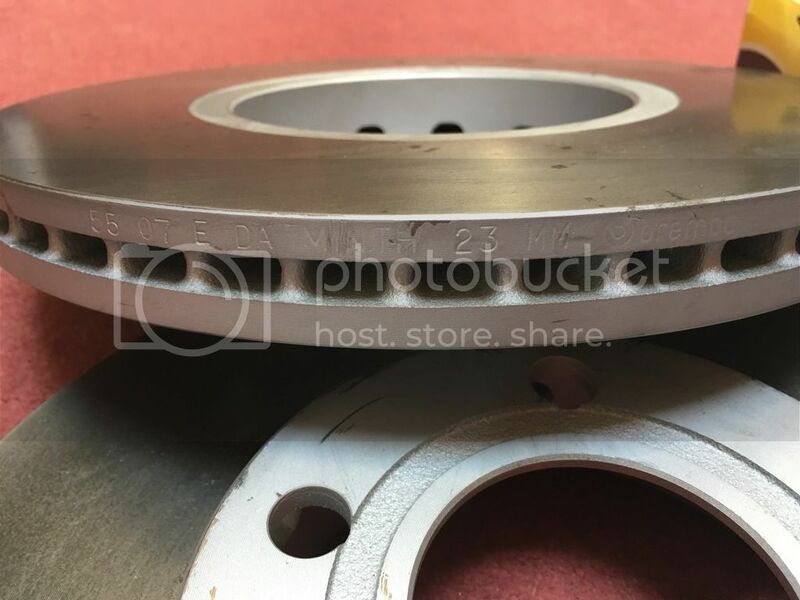 As above Genuine 288 x 25mm Brembo top quality discs and pads. Need these gone asap please, grab a bargain £50 collect or + post of about £14 roughly. The total sum here is over £150 for these at German and Swedish where i bought them. 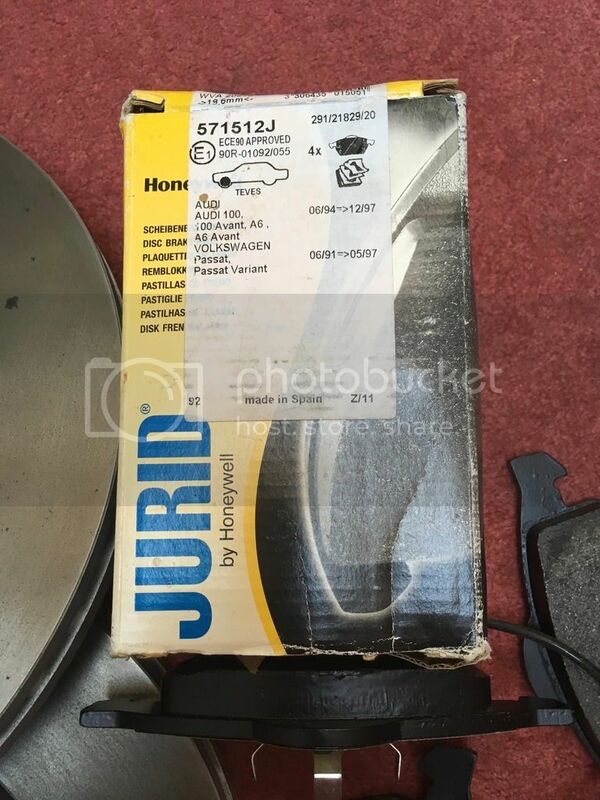 Just checked price £88 for the discs and £55 for the pads. This is quality gear at a bargain price not your mickey mouse cheap rubbish ! These fit A6 2.8 quattro (and maybe fwd). They were painted by me in high temp paint to help preserve them and they look much better this way anyway. These also fit many other Audis, quick example A4 2.8 quattro later C5's Skoda loads. Check 7zap it will tell you all of them. The 23mm shown on the disc is the minimum recommended wear limit. The discs are 25mm new.